Happy February everyone! Also, happy Super Bowl Sunday! I will be posting some recipes this week from our Super Bowl snackingpalooza, but for now, I wanted to post something different. Have you ever seen recipes that are “copycat” ones, such as: copycat Red Lobster cheddar biscuits, Twinkies, Olive Garden bread sticks, etc.? Well this one post is similar to a copycat post. It’s just slightly different, but the flavors are the exact same. 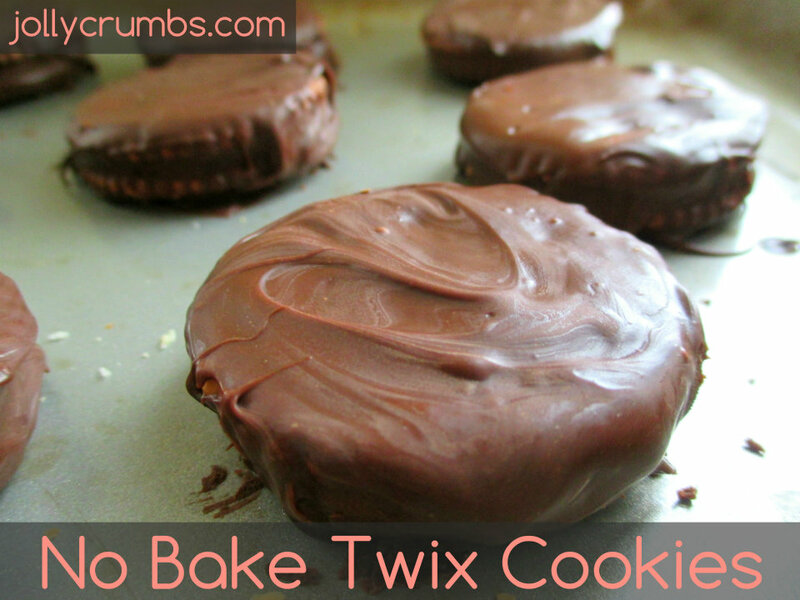 No bake Twix cookies. These taste like a Twix bar, but better. I know. How can this be possible? Let me tell you, these are delicious. These have the same flavors of Twix bar, but they are in a cookie form. Not only are these delicious, they are easy to make. They require no mixers and no baking. You only need 3 ingredients. These are so much better for you than a Twix bar. I have to say, I was impressed by these. 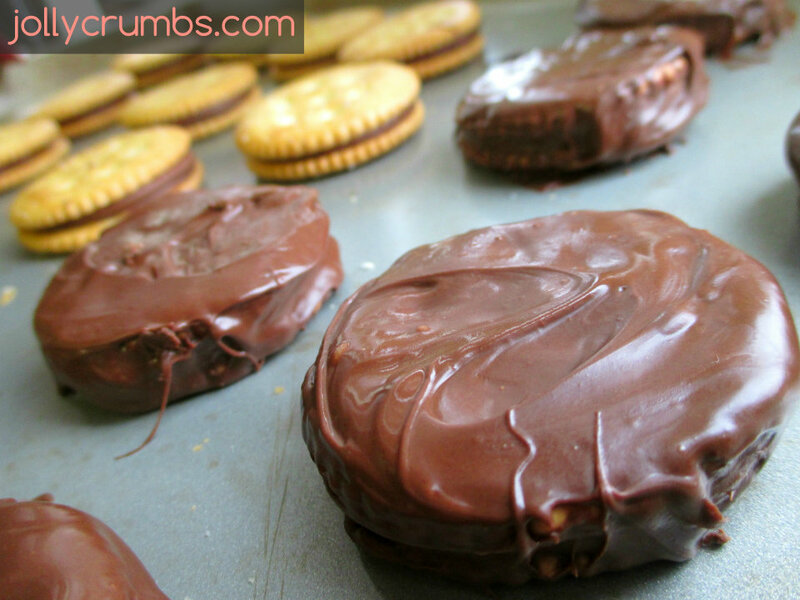 Who knew making a Twix into a cookie was so easy? Samuel loves Twix, and he had a few of these after I made them. Even he thought they tasted like a Twix. As far as copycat recipes go, this is a winner. I won’t be missing Twix bars anymore. Heck, I don’t even have to buy them anymore! Who wouldn’t want to bite into a delicious, gooey, Twix cookie? These cookies hardly require a recipe because they only take a few steps to make. However, I had to share this with you all because they are too delicious not to. So, first you will need to line 20 crackers, salt side down, on a baking sheet. I used reduced fat crackers to make these healthier. Unwrap 20 Rolos and place one in the center of each cracker. 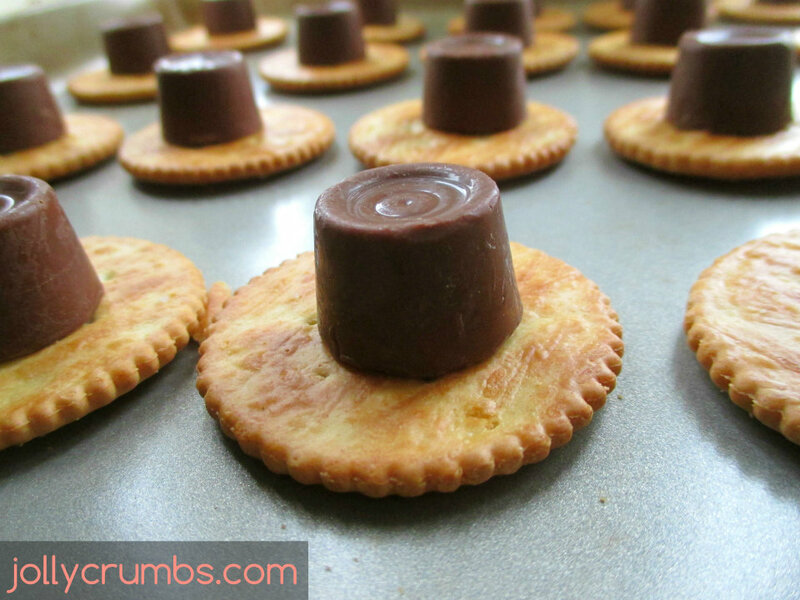 Place the crackers into the preheated oven and melt the chocolate for a couple minutes. You want the Rolos to just start melting slightly, and the chocolate should look glossy. When the Rolos are softened, place a cracker on each of the Rolos, salt side up this time. You will be making a sandwich basically. 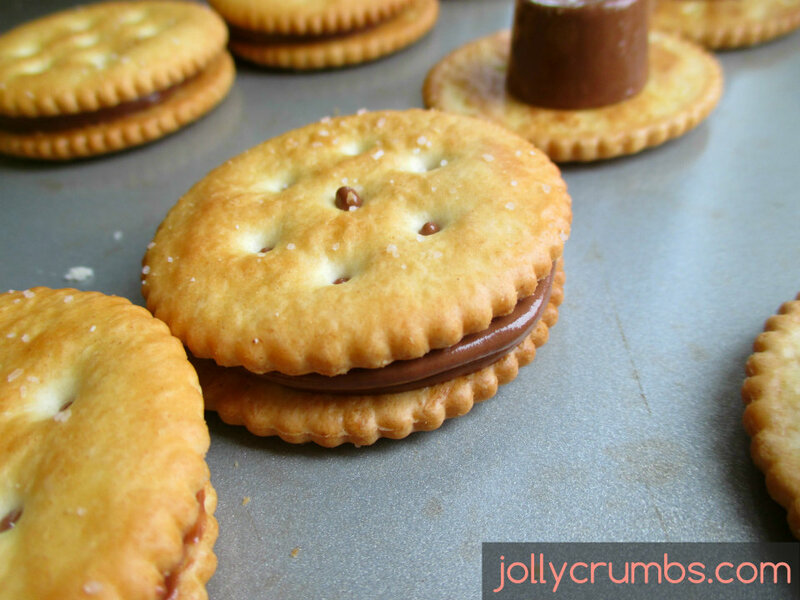 You should press the top cracker down until the chocolate from the Rolo meets or is close to the sides of the crackers. Let the cookie sandwiches firm up. Now for the dipping. You can either dip the entire sandwich into the chocolate, or you can cover them however you want. I prefer to cover just the tops and sides because you don’t really need the bottom to have chocolate on it. Trust me, it doesn’t taste worse without chocolate on the bottom (I tried it both ways and equally delicious.). So I spooned the chocolate over the tops and sides. However, you can choose to cover these however you want! Just melt your chocolate chips or candy wafers and dip or spoon away! On a scale of 1 to 10, how bad would it be for an adult to have cookies for breakfast? I could eat all of these and still want more. They are so delicious! Seriously, if you know anyone that loves Twix, they will go nuts for these. Each cookie is under 90 calories (depending on how much chocolate you use). For a cookie to have caramel and chocolate in the center and be smothered in chocolate on the outside, 90 calories is a steal. These will be a constant must-have in your home once you make them. Place 20 crackers salt side down on a baking sheet. 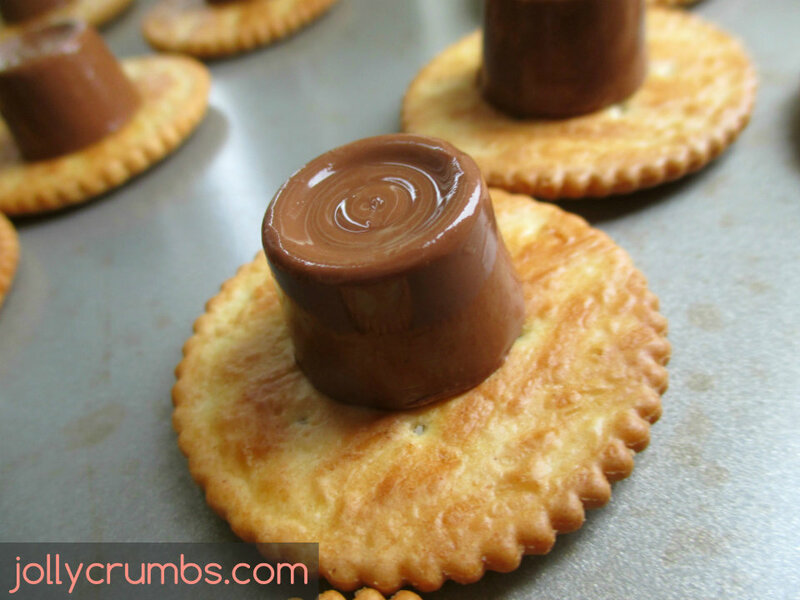 Place one Rolo in the center of each cracker. Place the baking sheet in the oven for about 2 minutes, or until the chocolate starts to melt and becomes glossy. Melt the chocolate chips. You can either dunk each cracker sandwich into the chocolate, or you can spoon the chocolate over the crackers. I spooned chocolate onto the tops and sides of the cracker sandwiches. If you dunk, use a fork to lift out the cracker sandwich and tap it on the side of the bowl to rid the excess chocolate. Place coated cookies back onto the baking sheet. Let them firm up and enjoy! Woah, those are seriously insane. Haha well at least these are a little healthier than a Twix! Let me know if you give these a shot! Made these twice already cause my daughter pretty much ate all of the first batch! So made another batch so hubby and I could get a couple of them! They are so easy! I am putting this recipe on my things to make around Christmas time. Haha I may or may not have eaten most of them as well. This is definitely an easy recipe to repeat over and over! Glad they were devoured in your house. No bake recipes are fun and easy for grandkids that get bored and want to help. So true, Linda! Anyone can make this recipe, and kids would love to help I’m sure.